The General Anime Wigs/Hair Thread: Post questions here. When am i gonna get my wig, hun? "Quick! Fill in the blanks!" I'm going to attempt to make a Lulu wig. I'm going to practice with a halloween wig I have. But my questoin is: How can I can I get a good bun, Use that caulk stuff?. And is it good to even practice on a halloween wig, when the actual wig I'm going to buy for the final product will be of better quality? And also, would it damage a wig if I hot glued some things to it? Or are there other ways I should approach when adding accesories? Re: Making a Lulu wig. Rika Nakamura wrote: I'm going to attempt to make a Lulu wig. I'm going to practice with a halloween wig I have. I know the wig stores around here have fake buns already made. Maybe you could add one of those to your wig so you wouldn't have to go through the pain of making them. If you don't have any local wig stores try find online wig shops for older people. Tutorial: Making a wig cap and Putting on a wig. Caulk is mostly just used for stubbing. Which if your going to build a bun seperate and wrap it around the stub, I say go for it. Depends on how you glue into it. Hot glue, Yes... the plastic the hair's made from will warp into strange shapes. Super gule, Yes... Leaves that darned white residue. gah!! I'm going to Anime Detour in less than three weeks! I'm going as Rei from NGE and I need help. I don't want to wear a wig because my everyday hairstyle is just like Rei's (I didn't even notice it until I decided I wanted to cosplay as her.) I need advice on anywhere you know of that sells an icy blue, temporary hair color (I don't want to go to school on Monday with blue hair.) I'm going as Rei in her school uniform. ANY help would be GREAT! I just get so excited when I talk about this! Anyway.... I need to know before March 20 because the convention is March 24-26.
p.s. this is my first time cosplaying so if you have any other info I would love to hear it! Unfortunately, to get her light shade, a lightener is required and then a toner to get the bluish shade. Buuut, if you don't mind that it'll look like crud, a spray on color works just fine too. Otherwise, you'll have to deal with a semi permanent that washes out in 4-6 ish shampoos. My Lj also features various Wig tutorials now! Please be sure to visit my ACP store! I'm going to be cosplaying Marilyn Nebraska, but I don't know what to do for the wig. Since I'm going to be wearing this costume more than once, I want a good quality wig, but at a reasonable price. I also need a lot of help with styling it. I've only used wigs twice, but I only styled one, and it was simple. With this, I don't even know where to start. Last edited by WilwarinAndamar on Wed Apr 12, 2006 8:34 am, edited 1 time in total. But 'til I try I'll never know." ~ "Defying Gravity" from "Wicked"
no leap in logic is too extreme... for RAGE! Yes, and links are now fixed. Any ideas on where to get the wig and how to style her ponytail like thing? Do you dye a wig first, then cut/style? Or cut/style, then dye? It would seem that dying should come before styling. The hair needs to be moved around to get evenly covered with color, and sometimes it even needs rinsing with water so you probably don't want to risk messing up the work you put into styling by doing the dye afterwards. 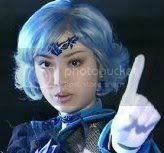 Some exceptions might be light colored wigs that only get highlighted with another color such as Sailor Mercury from the live-action Sailor Moon show. She had white hair with pale blue highlights (or whatever it's called). Her wig didn't look like one solid color so in that case, a person could probably style the wig first, then lightly spray the color as needed before sealing everything with hairspray. Out of curiousity, what character are you making a wig for? mrs.tomoe wrote: Out of curiousity, what character are you making a wig for? I'm still trying to make the Marilyn Nebraska wig. I did think dying was first, but I wanted to make sure. Oh, I only now noticed that you live in Nebraska and are cosplaying from the Nebraska family. Lol Fun! Hi, my question is: do wigs generally fit anyone or do I need to be worried about size? I'm 6ft tall, and a guy, I don't think I have a very big head or anything, but I see on party sites wigs are divided between mens and womens. Is this just because of style? I'm a complete newbie to all things cosplay, but I am going to Halloween parties this year and don't want to have to resort to buying a Neo costume from the local party store, I'd much rather go as something more original and different. Thanks for your help, this thread really makes me want to style wigs and get into that whole thing, I think I'm obsessed with doing things myself, wish I had the time though. Hi there. Wigs are generally "one size fits most." Unless a wig is labeled for children, it'll fit either a man or woman equally well. They usually get categorized according to style as you've noticed. Your desire to do things yourself is understandable. That's why a lot of us are into cosplay to begin with. You get a certain satisfaction from making things. Good luck with your costume plans. ahh thanks for the info mrs.tomoe. Now, I am wondering, is it difficult to pull the hair back in a wig into a pony tail (no bangs) ?. Does that mess up the hairline? or does it actually look ok? Pulling back the hair on a wig generally does mess up the hairline because of the way the sections of hair are sewn to the base to create various styles. If you want to do "slicked back" style, you should try to start with a wig that already has the hairline done unless you want to do some sewing. and scroll to the wig called "Renegade," you'll see a style that's already got the hairline for a pulled-back 'do. Granted, it's not an ultra high quality "ooh fancy" wig, but it can be a good starting point for adding extensions or something. Most other wigs, if you pull all the hair back, will reveal the underpinnings of the wig which don't look attractive at all. If you're making a low ponytail (close to your neck), most wigs can be combed sort of down & back like the Old Lady wig on the above page. It's just when you want to pull the hair away from the face that problems can arise. Anyone know how I could pull this off? I used to want to just dye my own hair, but I've had my normal hair color for months now >___<;; Don't want to ruin it..
How do you dye a wig??? Especially just a portion of it? This is my question: Im doing a Dark Mercury from live action PGSM wig and Ive dyed it the correct color blue and everything is good except that I just realized that Dark Mercury has kind of a side part to her bangs. How can I create a part in the bangs without ruining the wig? a wig will take any sort of hairspray really. anything you do to your hair short of bleach, other strong chemicals, and heat, the wig can usually take. so just pull one part over and clip it then spray spray spray and then take out the clip and it should be fine! Where did you get your wig? Amphigory? Some wigs' wig part don't move too voluntarily...I would suggest clipping over the wig part *pieces of hair over* or holding them over and pouring hot water over. About 180 degrees F. (watch your fingers. o.o) If you're wig is already styled, this will flatten it alot, and I'm not sure if it'll do anything to the wig dye...it is just water, I'm not sure. But it'll move over. I am planning to cosplay of Riza Hawkeye from Fullmetal Alchemist for Anime Boston '08. (I am SO upset that I couldn't go to 07... all those awesome voice actors...) I am planning to just use my own hair, as I really hate wearing wigs... they feel really weird and creepy... but if one day I wanna play a character I really need a wig for I'll try those Amphigory wigs. They sound good. Anyway, Riza has that bun in her hair that I have tried to replicate but have failed miserably every time. Has anyone ever cosplayed of her or seen someone who has who did her hair really well? If so, do you have pictures of the back of the hair? Or could you explain how to do it? thank you so much. Edit: while I'm at it, my friend is going to be going as Rose from Full Metal Alchemist. (my friends and I are gonna all be a crazy FMA crew. Ed, Riza, Rose, Scar, Nina, yeah... yeah....) She'll probably use a wig, because her mother would kill her for dying her hair. Rose has brown hair with pink bangs, and I know that you can't dye wigs... so I was wondering what someone thought we should do... thanks again! Okay, I'm not terribly good at descriptions, but I'll try my best. As for Rose, try using a temporary pink hairspray that you could get at a party store. Sorry if this sounds stupid but I'm a 1st-time cosplayer. Yes, you can do some 'real hair' things to synthetic wigs. Heat styling can be done with hot water or steam. Straightening or curling irons and hair dryers can also work if used very carefully so as not to melt the fibers. Styling products: in general, the better they are for your hair (with conditioners or oils), the worse they are for wigs and visa versa. So, cheap stuff like Aquanet hairspray, while really horrid to hair, is great for wigs. Dyes: Synthetic wigs won't take hair dye. They need stuff made for their type of fiber. People have found that Sharpie markers color wigs well. There's also some dye made for synth fabric that can work on wigs. i really need help trying to figure out how to make this wig for sakura haruno from artwork that masashi did for her! i don't want to spend a ton of money on it!!! This wig is definitely going to be a fun one for you if you have some skills! The good thing is that you can be just a little crazy about it since it really only has reference pics throughout fanart and the one official looking one. I suggest really having some fun with it. Hmmm, looking at this fanart though, the wig actually will require a lot of hard skill to be able to pull off something that thick in back. Do you really want it that thick? I would suggest a medium length wig because that one is thicker anyway but in order for that style to go up, it will require you to twist or pull the hair up, which will show the mesh. If you use a longer wig, you still get the same problem and you lose the thickness of the wrap. By looking at it, it seems like a job for Katie Bair's stubbing tutorial but it depends entirely on what you want the back to really look like. As for the kanzashi, you'll need to figure out your official style for the back. Based on what you want, you'll most likely have to make your own set of those suckers (which can actually be better anyway) and cut those things down in half to be able to stick them in the wig. Hello, I'm making a wig right now of Saber (fate stay night) But I have really no idea to pin up her hair. I have several pictures, but it's so difficult. Can someone make me a tutorial of how to bind up her hair into that pigtail?? I need help. 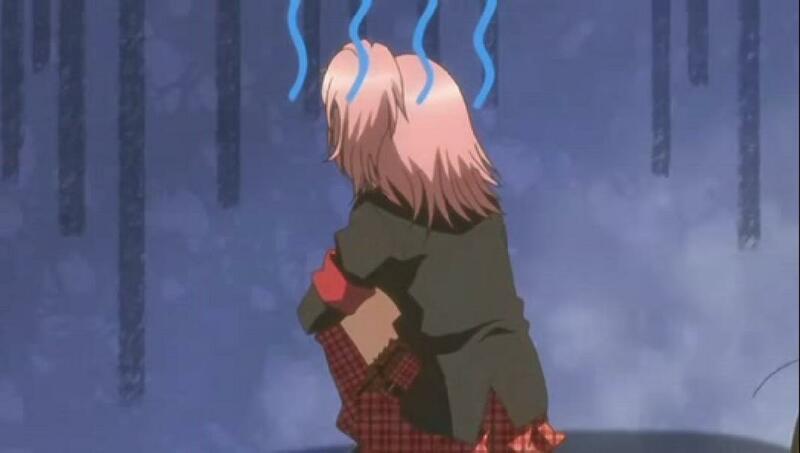 Im using a pink wig in my neko cosplay and i want to add black streaks to the wig is there anyway i can do that? Black streaks are easy to add in. One is to get a black sharpie and color in your streaks as you see fit. Rinse the wig until all the excess comes off and it should be okay. The only known issue with that is that sometimes you won't get the black color you really want....sometime it comes out as brown or red or some other weird color. Black in a sharpie really isn't black but a combo of things but it's worth a shot. Another method is to get black extensions and sew them directly into the wig, placing them wherever you want. Thank you so much!!!!!!!!!!!!! *bow gratefully* THANK YOU!!! In Brazil, I can't find this shade of pink, only baby pink, like this. 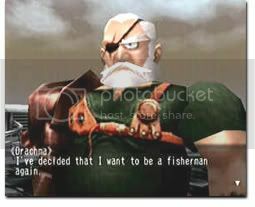 If you want to know, I'll cosplay as Fujimori-kun, from Sukisyo ( http://i36.tinypic.com/30lz4ht.jpg ). And sorry for my horrible English. They are some wigs on ebay like these two that might work. You'd just have to style it alot. Hey, I'm cosplaying as Unohana Retsu from Bleach and was wondering how long of a wig I need to get for her. The thing is, as much as i would like to, I can't afford to get the actual Unohana wig, nor the wig from the shop that looks long enough. So, if I went to a Party City or something (it's almost October, so they'll have costume stuff) what length should I look for? I found one from wallmart, but it was only 36", which was apparently too short to bring around and braid. Re: The General Anime Wigs/Hair Thread: Post questions here. Here I go again. I gave up on my Sunao cosplay, 'cos I couldn't find the perfect wig. 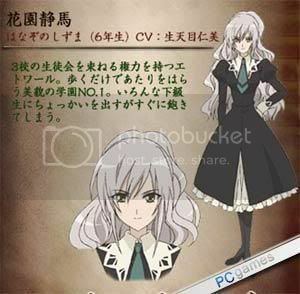 But now I have a new project: Angelina Durless a.k.a Madam Red, from Kuroshitsuji. Well, now I'm looking for a wig that would fit her hair better. Of course I'll have to style it, mainly because of her 'triangular' fringe... I just want your opinion about which one would be the "ideal" to make her hair! I'm waiting for suggestions, too. Sorry for the bad English, again. 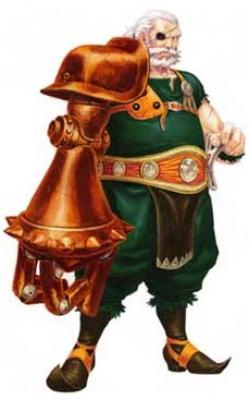 I was wondering if anyone had any idea how I can successfully get the back of a wig to conform to be that of my FFXI character's hair. The front part I know how to do - it's the back portion that I can't seem to get right. I know how I'll cut the wig so it fits (and I haven't cut the wig yet) but I have no idea how to make the hair stand at a point in the middle of the back of the head. Anyone have any idea? Okay Jess, the first defenitley bet the second wig, but they both may be a bit to long try using this wig. same as her hair. Hope I helped! 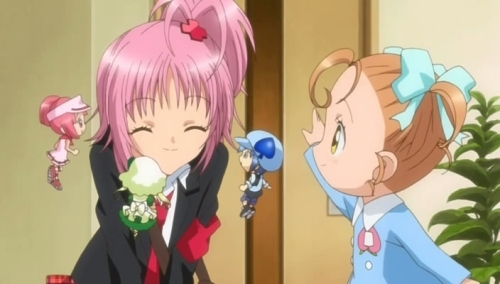 Hey Guys!I'm cosplaying Amu Hinamori since I'm hooked on the series Shugo Chara! and would like some advice with the wig. I think the second one you have posted there fits the color of her hair best. That and its also a bit fuller then the one that is already styled with the tail. It being more full will allow you to have a fuller tail then the one does - which if you look at Amu that does make her hair look fuller. I hope I made sense in all that. Thank you so much This helped me out alot! What would I do about the bangs for the second wig? I have a question that kind of fits here, but there's more to it. Sorry I can't find better pics, especially of the back. His hair is kind of pulled back into a cut-off ponytail, and the rest is kind of shaggy down on his neck. I might be able to take a screencap from the game itself if I needed to. Anyway, I need to come up with a wig that looks like that. I also need to find a way to do the eyebrows, beard, and mustache. My hair's been pretty short for most of my life, so there's no chance of me growing it out enough in time for the convention. Could I pull a wig back tightly enough without it showing the underside? Also, any ideas on how to do the rest of the facial hair? I was wondering something is there a site that I could find a Takeshi Morinozuka from Ouran High School Host Club wig? I've looked on CosplayMagic, Solgoo, Lightinthebox, Lightning Hammer Wielding Exorcist Knight, and MoonCosplay and didn't find anything. Is there another site that you could tell me about? Anyone? I need to find it before Anime Banzai OCt. 16-18th. This is very important. My friend that is going to be Mori, won't cut his long hair and is willing to wear a wig. Can someone please help me out? Try a beauty supply store, or search for a wig specialty store. I recommend the net variety, as they pin on better! I'm trying to pick a wig for Haruko from FLCL based on color. These are the wigs I'm trying to choose between. I''d greatly appreciate all of your opinions! Thank you so much~!